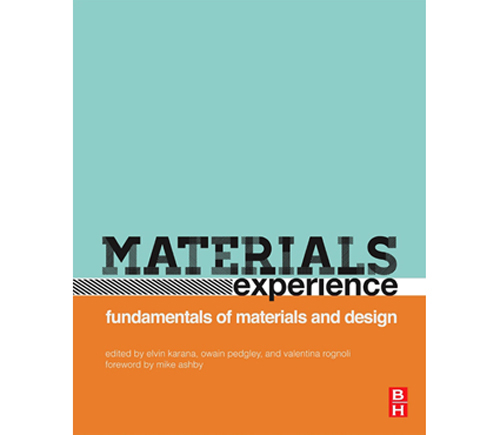 A new book on Materials Experience has recently been published by Elsevier, bringing a number of well-known scholars and designers together to discuss current practices in materials and design, and how these subjects affect our experiences with everyday objects. (Scholars such as: Mike Ashby (Foreword), Julian Vincent, Blaine Brownell, Kevin Edwards, Rob Thompson, David Bramston, Daniel Schodek, Jonathan Chapman, Sybrand Van Der Zwaag, Paul Hekkert, Carlo Vezzoli, and many more..
“…So this is a rich collection, touching on the many different aspects and influences of design, further enriched by face-to-face interviews with successful designer. Elvin is an Assistant Professor in the Department of Design Engineering at Delft University of Technology. She has run various workshops on the ‘meanings of materials’. A new book to hunt next!! Featuring what else, materials!! !